Director Bill Condon Brings the Curtain Down on "Twilight"
Actors Taylor Lautner, Kristen Stewart, Director Bill Condon and actor Robert Pattinson of "The Twilight Saga: Breaking Dawn - Part 2"
In assembling a cinematic vision for “Breaking Dawn – Part 1” and “Part 2,” director Bill Condon’s task was not un-monumental: first, he not only had to keep true to novelist Stephenie Meyer’s much-beloved mythology and play into the star appeal of leads Kristen Stewart and Robert Pattinson; he also had to tackle pulling together the entire tapestry of the film franchise – each episode of which had been crafted by a different director – and create a final chapter that would effectively close the storyline and above all, keep those passionate fans happy. With the three leads in particular, what impressed you once you got your first opportunity to have a creative exchange with them? I met them all separately, but then we sat in a room in Baton Rouge, started going through the script. When we finished four hours later, we'd only gotten to page nine or so because we had so much to talk about. We just started talking. And I was just impressed by how seriously they took everything, how well informed they were about everything and the mythology, but also just what great instincts they had. They had been through this. They knew what worked and didn't work. They were still trying to fix things, try and make it play as well as it could. So they became just great collaborators. And I have to say that just continues through and by the end, I really felt that, that there was a sense of everybody working really hard and feeling the responsibility. They knew that for people who love it or hate it, but mostly for people who love it, that this was something that had become an important thing culturally to a lot of people. 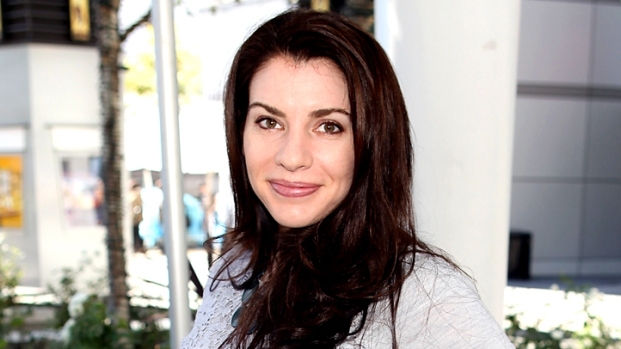 Stephenie Meyer's "Twilight Saga" Exit Interview! Now that "The Twilight Saga" is coming to an end with the release of "Breaking Dawn - Part 2," author Stephenie Meyer talks about her experience with the series. She dishes about which director she bonded with the most and the possibility of writing another book for film. "Breaking Dawn-Part 2" hits theaters on November 16, 2012. For the most part, we've accepted that the director sets the style and the tone of a picture. In the new world of franchises, it can be a little different. You've got the appeal of Stephenie's stories. You've got the star appeal of Rob and Kristen. How did you find a balance? I don't think you consciously try to figure out what your spot is, but what I think happens is, you make thousands of decisions as a director, right? And that reflects your taste and also what your interests are, starting from the script. There was no script when I got involved. There was an outline based on the novel, which then changed drastically as I worked with Melissa [Rosenberg, the screenwriter]. So you start to focus on what you think is important in the story. Did the offscreen drama surrounding Kristen and Rob give you pause, like how are the fans going to factor in their emotions about this development into what happens with the movie? No. Because I was in the cave then. We had 2,000 effect shots and it was like being in production for a solid year. So whether it was that or any other part of my life, it was sort of not my problem. It was going to be something that may have come up later, but luckily, it all seems to be in a happy place. But I was just so really freaked out about making sure I had enough time to make the movie as good as it can be. You get into a whole different zone. Yeah, I think so. 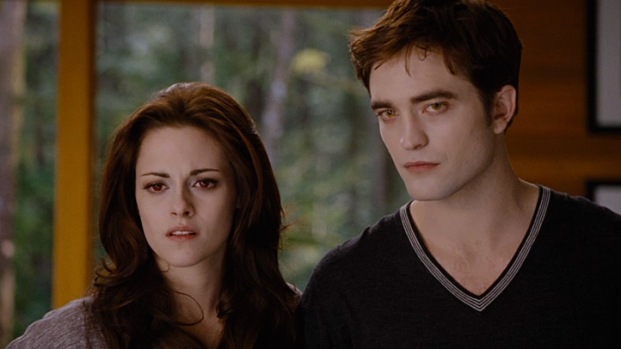 For example, their protectiveness towards Edward. I think that that is something that really struck me this time around last year. I mean, obviously, people love Jacob and Bella, but there's a special kind of feeling of protectiveness, I think is the only way to describe it. You're aware that you can play with it too because he's the one that gets kind of thrown around a lot in the last chunk of the movie. So that provides even more tension because it's so hard to see him – he's such a kind of noble creature. What has this done for how you want to go forward? How you want to look at the projects you take on, because it was slightly left of center for you? It was. It is weird. Francois Truffaut always said, ‘The next movie’s always based on the last, in some way.’ And I have found that. I don't know if that's going to be true with what I think I’m going to do next. It's quite different, but I feel like I'd been in a kind of biographical mode for a long time. And it was nice to scratch that itch of doing something that was pure genre like this series, which I consider this genre being kind of romantic melodrama. It was nice to be just within the confines of that and not have to worry so much realism, for example. That was liberating, making it more immersion in emotion. Do you see an expanded ‘Twilight’ universe being built after these movies, in the way that it's happen with George Lucas and ‘Star Wars.’ Is there room to tell stories about the characters before the ‘Twilight’ things? Yeah, when we were casting all these actors, who again have very brief moments in the movie. We talked early on about – all of those new vampires have interesting backstories – that it would be fun. We never pulled it together, but it would have been great to take real, new filmmakers, and have them – for the DVD release, or even concurrently released now, have them each make a film, a short film, about each of those characters. But to me, that's an example of something where there's a big mythology that's already been built that you can imagine someone, whether it's Stephenie [Meyer] or someone else sort of trying to explore. What impressed you about Stephenie – somebody who literally woke up one morning and wrote this dream down and suddenly here comes a phenomenon? What impressed me about her is just how smart she is and how well read she is, and what a deep, deep love of reading she has. And I think probably what I got from getting to know her a little bit is just that, again, there's a sensibility that informs us that really is quite different from the normal kind of mainstream culture of sensibility and movie sensibility, violence, for example, to be avoided, to be absolutely the last resort. Even conflict, things that you think of as the backbone of drama. I think there's such a kind of practical and reasonable approach that she takes. I think she believes in that, a sort of placid nature. So that was interesting. Not to ratchet it up too much.